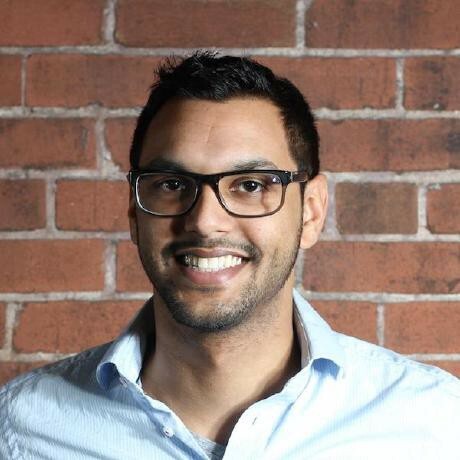 Venture Out Profile: Drew Jagdat On Video Games, Being Out At Work, And Intersectionality. VO: How did you get involved in tech/entrepreneurship? DJ: I’ve always been interested in video games and computers, which led to me spending countless hours surfing the web and building my own websites in my younger years. I studied Game Development at the University of Ontario Institute of Technology but realized the video game industry wasn’t right for me. While I liked playing video games, making them was a very different beast. In school, I got involved with a student organization to redesign and develop their new website and I found my passion for building websites and web technologies again. After graduating, I enrolled in Web Design and Development at Durham College and quickly landed my first job in the industry at Achievers. VO: What impact (if any) has your LGBTQA+ identity had on your career? DJ: When I started at Achievers, I wasn’t out to my family yet and I wasn’t sure of myself. Whoever I was going to be, I wanted to feel like myself all of the time, especially at my workplace. Achievers was home to many LGBTQA+ people who were really supportive. It was the right environment to really figure myself out. I wouldn’t have been able to come out to my family without the help of my friends and colleagues at work. My queer identity is an important aspect in my life now, so when I began interviewing at Hubba, I wanted to let them know who I am to gauge whether it could be a place I would feel comfortable in. It’s not only a workplace I’m comfortable being out in, but it’s an environment I can thrive in and I try to pay it forward everyday. VO: We LOVE Hubba, and the Venture Out Conference would not have happened last year without them. What is one thing managers or those in leadership positions can do to make their teams / workplaces more inclusive? DJ: In Toronto, if your workplace isn’t diverse, you’re working against the grain. The talented, driven and passionate people of all backgrounds, genders and experiences are here and many of them are applying to your companies already. But fixing the broader issue of diversity and inclusivity in the workplace starts with each individual. If you’re a hiring manager it’s necessary to think about biases you might have and actively think about those things when you’re interviewing and evaluating candidates. 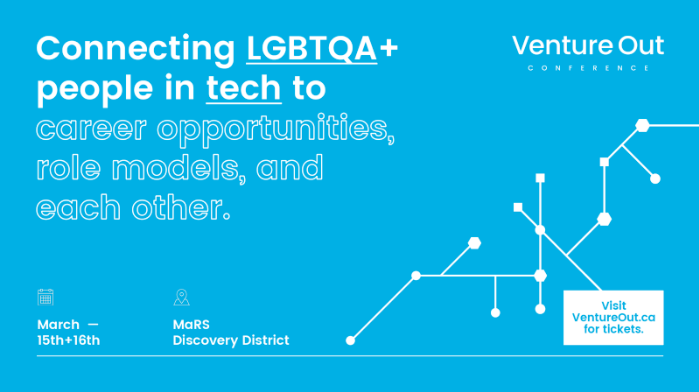 VO: What is one piece of advice you have for LGBTQA+ folks just starting out in their careers in tech or entrepreneurship? DJ: Not all companies are as open and inclusive as Hubba but it’s important to be able to find your allies wherever you are. Find at least one ally who can champion you and be someone to confide in. VO: To what extent do you think attitudes within the tech/startup industry have shifted over time? DJ: The conversation about diversity is starting to shift to be more inclusive of many under represented groups. It’s becoming more about intersectionality. There’s a range of characteristics and experiences that forms each individual. I’m a man, I am gay, I am a person of colour, I am of Guyanese heritage and I am a first generation Canadian. All these traits together have shaped my perspective. The tech industry is broadening its definition of diversity to become more inclusive but there’s a lot more of the mountain to climb before we get to the peak. VO: Anything else that you’d like to highlight? DJ: You can be as visible as you want to be. There’s no one right way to belong to this community. Visit https://ventureout.ca/2018-conference/ to get your tickets today, and click here to stay updated on the latest and greatest!